Last week my wife was away visiting family. While she was gone, I spent a few evenings working on this Lego townhouse. The model was based on misc2006’s alternate model for set 4954. 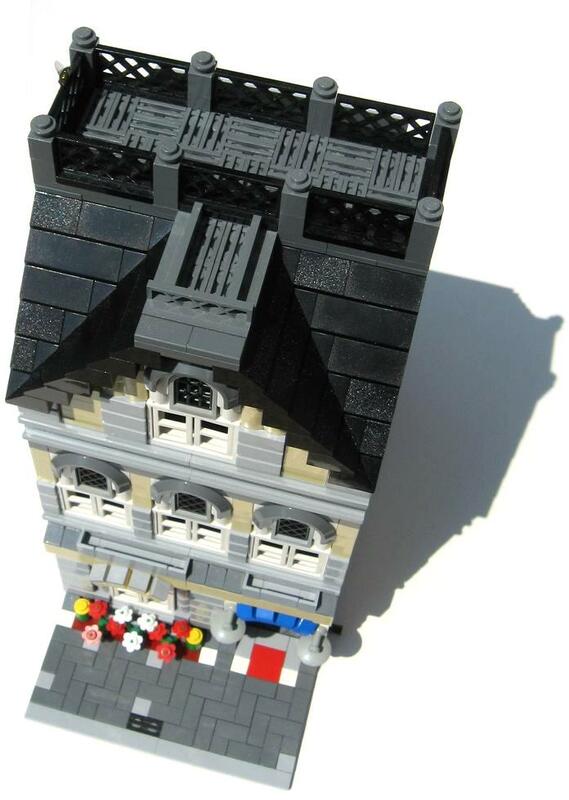 It is compatible with other modular Lego models (e.g. Cafe Corner, Market Street, and Green Grocer). I used mainly pieces from 4954, but I did supplement the model with pieces not found in that set.